As a member of the Association of Equipment Manufacturers (AEM), VMAC is part of a community of the world’s leading equipment manufacturers. With over 900 association members, the AEM’s vision is to be a leading North American organization enabling equipment manufacturers to realize success in the global marketplace. The AEM works to serve equipment manufacturers like VMAC in the areas of technical and safety best practices, global public policy, market info, and exhibitions. Visit AEM’s website. VMAC is a member of the American Rental Association (ARA), an international nonprofit trade association for equipment rental companies, as well as manufacturers and suppliers of rental equipment. This global organization has members in over 30 countries, and provides business resources including information and research, education, risk management and government policies applying to the equipment rental industry. Visit ARA’s website. NTEA is the Association for the work truck industry, and represents almost 2,000 companies that manufacture, install, distribute, sell, and repair commercial trucks, truck bodies, equipment, trailers, and accessories. NTEA also produces The Work Truck Show, which VMAC attends each year. The NTEA Member Verification Program, which VMAC is part of, recognizes exceptional companies with outstanding business practices and successful application of quality standards. MVP status is awarded after candidates submit documentation detailing how they meet or exceed the MVP program’s criteria. To ensure an ongoing commitment to the best practices and quality standards, MVP status is awarded for a three-year term and each company, including VMAC, must resubmit documentation on their compliance of the program to gain MVP status for another three years. Visit NTEA website. The Green Truck Association (GTA) was established in 2010 as an NTEA Affiliate Division. This organization’s mandate is to increase environmental sustainability and operational efficiency in the work truck industry. By exploring innovative technology and providing resources to its members, the GTA strives to reduce diesel and gasoline consumption through the improvement and productivity of work trucks. VMAC is an MVP member of the Green Truck Association. Visit the Green Truck Association website. ISO (International Organization of Standardization) is an internationally recognized certification which brings standardization to an organization. The ISO 9000 series is focused on quality. Being ISO 9001:2015 certified means VMAC has met a set of standards that specify requirements for quality systems. Recertification is required every three years, and there are monitoring inspections performed each year. This certification provides guidance and tools for businesses to ensure they’re consistently improving quality and meeting customer requirements. Working with an ISO 9001 certified company ensures customers and partners can expect the same level of service is delivered to the same standard, every time. Visit the ISO Certification website. As Canada’s largest trade and industry association, the Canadian Manufacturers & Exporters Association strives to build a more competitive business environment. Advocating for manufacturers and exporters, strengthening leadership through best practices, leveraging networks for success, and providing timely intelligence are all mandates of this organization. As a member, VMAC is part of an exclusive network of world-class manufacturers and exporters. Visit the Canadian Manufacturers & Exporters website. ASQ, the American Society for Quality, is a global community of people and organizations passionate about quality. ASQ has the reputation of being the gold standard for quality, empowering quality champions to transform the world’s corporations, organizations and communities to meet tomorrow’s challenges. As a member, VMAC has access to the ASQ’s vast training resources and education programs to improve operations, its products, and the industry it serves. Visit the ASQ website. VMAC is a member of the Association of Professional Engineers and Geoscientists of British Columbia. This association is the licensing and regulatory body for BC’s professional engineers and geoscientists. The APEGBC sets and maintains high standards for professional practice and upholds an ethical code of conduct for its members. 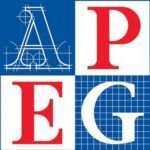 Visit the APEGBC website. The Project Management Institute (PMI) is the world’s leading project management organization with over 450,000 Global Members. This is an individual membership held by VMAC engineers who are dedicated to continuous education and development in project management. Members gain exclusive access to knowledge and educational resources, professional development tools, and a global community network. 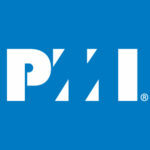 Visit the Project Management Institute website. REMSA was created when the Association of Track and Structure Suppliers and the National Railway Association merged in 1965. This association represents organizations and professionals who manufacture and sell railway maintenance-of-way equipment, as well as industry engineers, contractors, and consultants. As a member of REMSA, VMAC is proud to support the North American railroad industry. Visit REMSA’s website.